Meershaum is a smooth porous clay-like material that is light enough to float. Its whitish color makes it similar in appearance to ivory which it is often used to imitate. 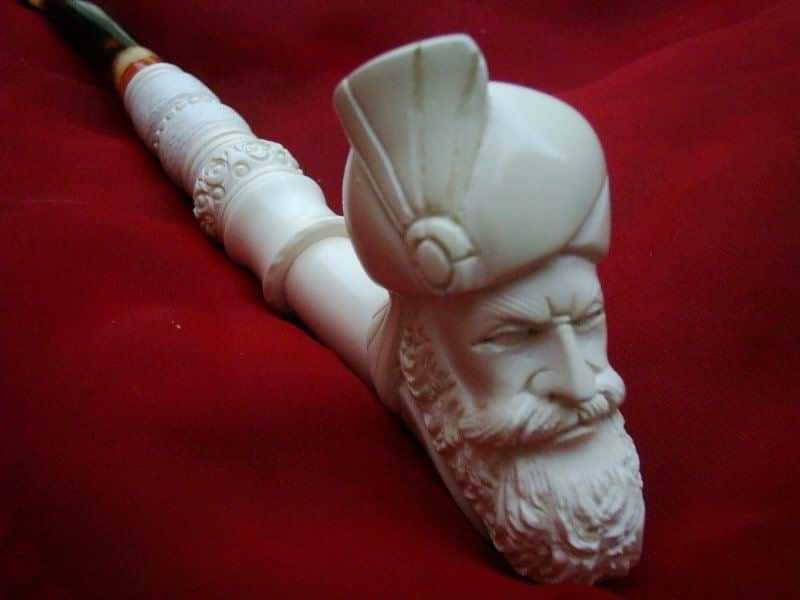 An export of Asia, German carvers have used this material since the 18th century most famously to make pipe bowls and cigarette holders but also occasionally to imitate ivory in jewelry items such as cameos.